Just like kids, most people have dreamed of owning a tree house as a great place to establish a top secret club away from their parents. Interestingly, there are people in the world who do not see the houses as exotic. To them they are part of their daily life. For instance, Korowai people have been living in tree houses permanently. The raised homes have helped them protect their belongings and food by keeping them above the ground level. But the following tree houses which are among the most expensive in the world have helped rich people experience nature in different ways. The Dukes and Duchess of Scotland wanted to make this tree house a popular tourist attraction right from the beginning of its construction. 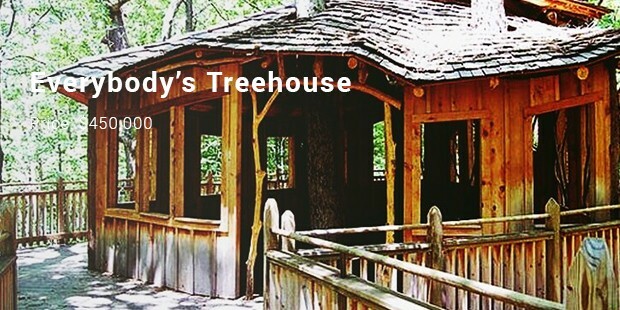 The tree house did not only cover a massive area of 6,000 square feet area, but also it featured personal dining rooms and retail stores. Total construction cost was between $4 and $6 Million. The sci-fi fan shape of this tree house adds extra beauty to the house. About 70% of recycled materials are used to construct this piece, and this is what makes it a unique home. 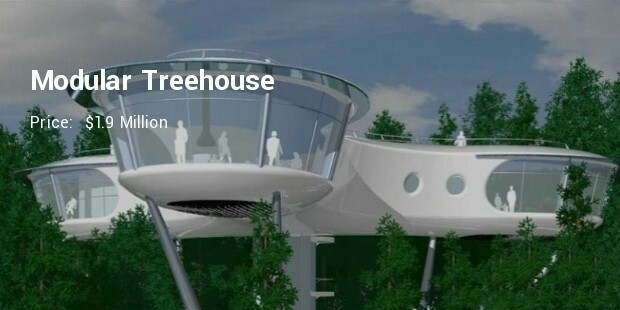 The $1.9 Million treehouse feature a cool design, and it is environmental friendly. 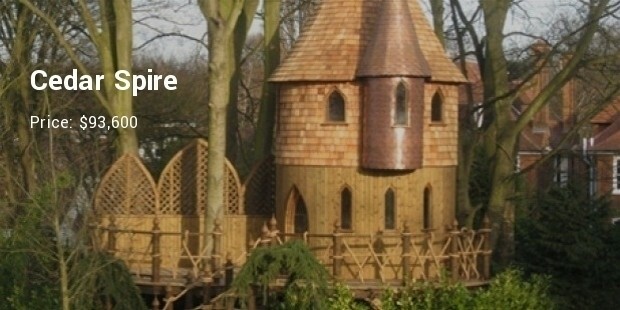 This beautiful treehouse was made for children, particularly children with disabilities. A child with any physical disabilities, for example a lame one in a wheelchair, will surely have fun in Everybody’s treehouse. This piece cost $450,000 to build. This is a cube-like home, and it is really a perfect structure. The home is portable, so you can actually have this transported and installed in your desired location. It is a high quality house valued at an amount of $377,300. 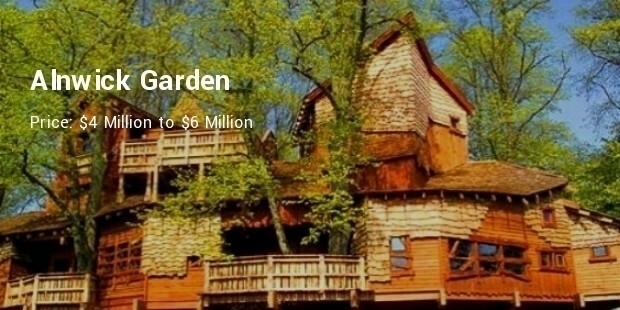 This tree house gifted to David Beckham as a playground for his kids has a value of $50,000. It can only accommodate two individuals at a time. 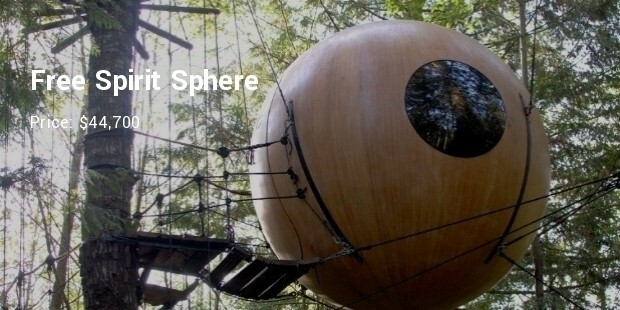 Furthermore, the tree house boasts of a hardwood floor and a round mattress. 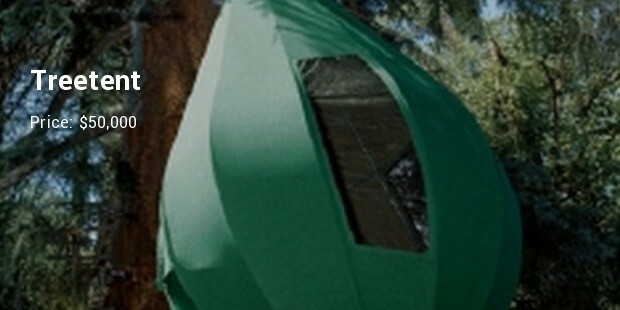 It is nine feet in diameter and three children can sleep inside comfortably. 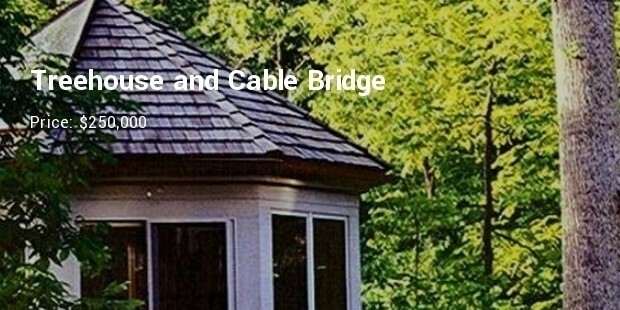 Considering looks, this is not a simple tree house. For science fiction individuals, this is among the best places to spend their vacations. However, to be in this place, age matters. Only people above 16 years can experience this amazing house. One feature that stands out about the Monstro II tree house is the attention to details. The tree house is intentionally lopsided and dilapidated. It’s constructed on a hollowed out, very huge recycled log. It is designed specifically for kids. This tree house proves to us that gone are the days when dads would climb up trees with a box to construct a tree house for their children. 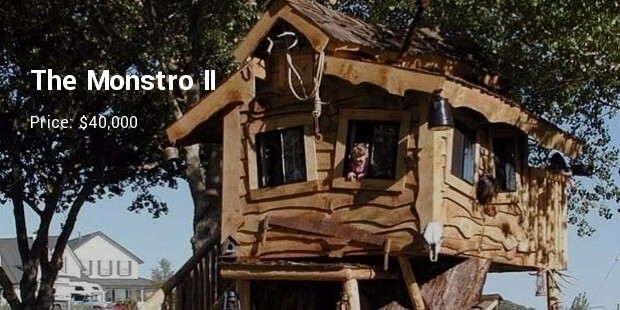 It is one of the tree houses made by experts for children. The house has a net value of $18,800. 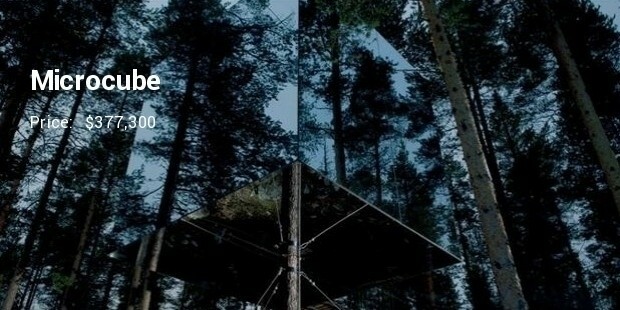 Tree houses are nature extensions. Some are made specifically for children and others for all kinds of people. The houses bring us much closer to nature and there is something magical about them. 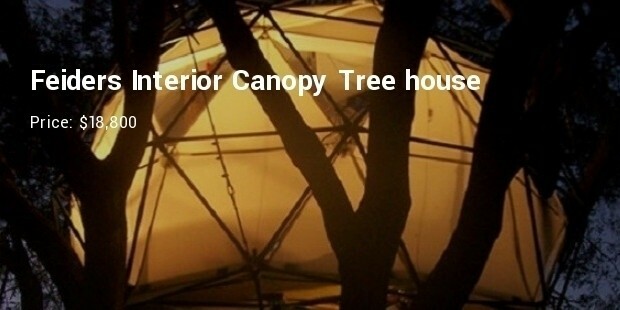 And if you are lucky enough to buy one of the most expensive tree houses you may experience nature in a more different way.